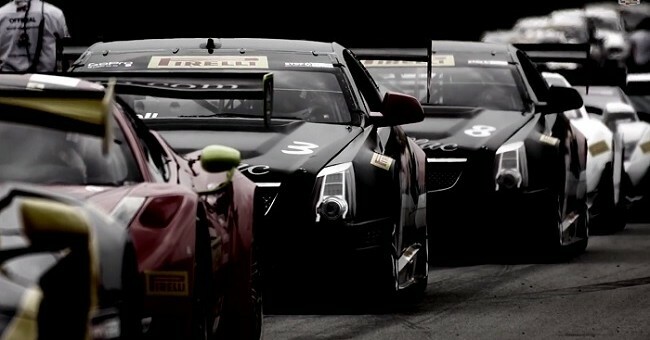 The end of the 2014 Pirelli World Challenge season marked Cadillac Racings third consecutive driver’s and manufacturer’s championship. The factory-backed racing effort started up in 2011 and has big plans for the future, including the introduction of an all-new GT3-spec ATS Coupe-based racecar. The competition in Pirelli World Challenge was better than ever in 2014 and Cadillac Racing’s current SCCA-spec CTS-V.R found itself outclassed on certain racetrack by superior aerodynamics of the GT3 cars. Despite this, Cadillac drivers Johnny O’Connell and Andy Pilgrim still brought the championship home to Cadillac, and the brand is recognizing this with a video looking back on the past three seasons. O’Connell and Pilgrim seem to be eternally grateful for their current situation, getting paid to race for an organized and successful racing team in a competitive series. For many prospective drivers, their careers are spent bouncing around from one inconsistently performing team to the next, making O’Connell and Pilgrim’s situation at Cadillac “the greatest thing in the world,” O’Connell says. Here’s to another successful race season in 2015, Cadillac.